The natural hair movement has been around for some time now and is still growing. More women are shying away from the “creamy crack” (straighteners, relaxers and chemicals) and are choosing to embrace the natural kinks, curls and coils that they were born with. For many, dropping the chemicals help to grow healthier locks. The idea also makes a statement that evades society’s standards of beauty. However, because it conflicts with the social norms in the workplace, many women are still reluctant to take the big step. Whatever you decide to do with your hair, be sure that you are comfortable with your choice and that it suits your lifestyle. 1.) Natural Hair Is Liberating. Anyone who has gone natural can tell you that it’s liberating to wear your hair in its natural state, which allows you to celebrate your own heritage. It’s also flexible. 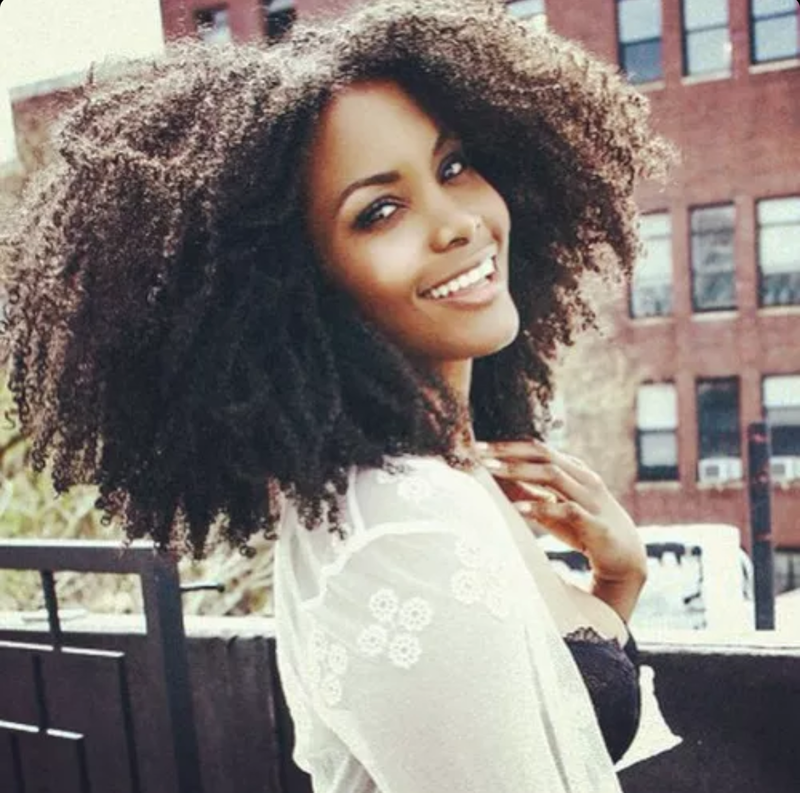 One day you can rock a sleek blowout, and then, fall in love with your “fro” later on. You can wear it however you prefer and still attain beauty without the unhealthy chemicals. 2.) The Trends Are Changing In The Work Place. Is it true that a hair texture can be “unprofessional” in the workplace? The idea sounds silly, but for years, the corporate culture has had a huge influence on the way we have worn our hair. Natural hair was considered unkempt. The dean of Hampton University of Business placed a ban on natural hairstyles such as dreadlocks and cornrows in the classroom in 2001, arguing that relaxed hair is more suitable for the corporate world. And while natural hair is not socially accepted everywhere, it is slowly changing as more people understand that judging someone by the way their hair grows is discrimination. Besides, there are professional natural styles such as protective styles in an up-do, buns, blowouts and etc. 3.) A Learning Experience. Emu oil – an oil taken from the fat from a certain subspecies of the Emu or Australian bird – has many benefits. The oil heals the skin, moisturizes hair and has been known to ease the hair growth process. All the amazing health tips out there to discover when caring for your hair will drive anyone to become health conscience. 4.) Builds Confidence. According to a study by “Cosmetic Company Bountiful Hair,” women with natural hair have lower self-esteem than women with relaxed hair. But going natural can have the opposite effect. If you’ve been in the salon since your hot comb days, when you realize how gorgeous your own hair looks, your self-esteem will skyrocket. It is a confidence that only natural beauty can achieve. 5.) Convenient For Moms/Women on The Go. Whether you’re a Twist Out diva, coil queen, or you simply prefer to wash and go, all the styles and many more are easily attainable for moms on the go. Your hair can withstand sweat from an intense work out at the gym or a day in the water on beach day. 6.) It’s Inexpensive. Walking out of the salon after a fresh hair-do will have you feeling like a new woman – fabulous. Monthly, it costs a lot to keep up your hair. Bills can run you an obscene amount of money from buying human hair and products, which can easily add up if you do the math. For high-quality human hair, the cost can run customers hundreds of dollars. Where as natural hair, you can manage yourself. Previous Previous post: What Happened To Sandra Bland?